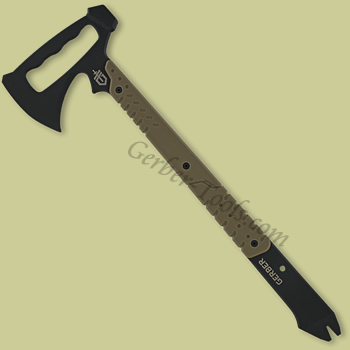 The Gerber Downrange Tomahawk 30-000792 is fabricated out of a single slab of 420HC stainless steel. 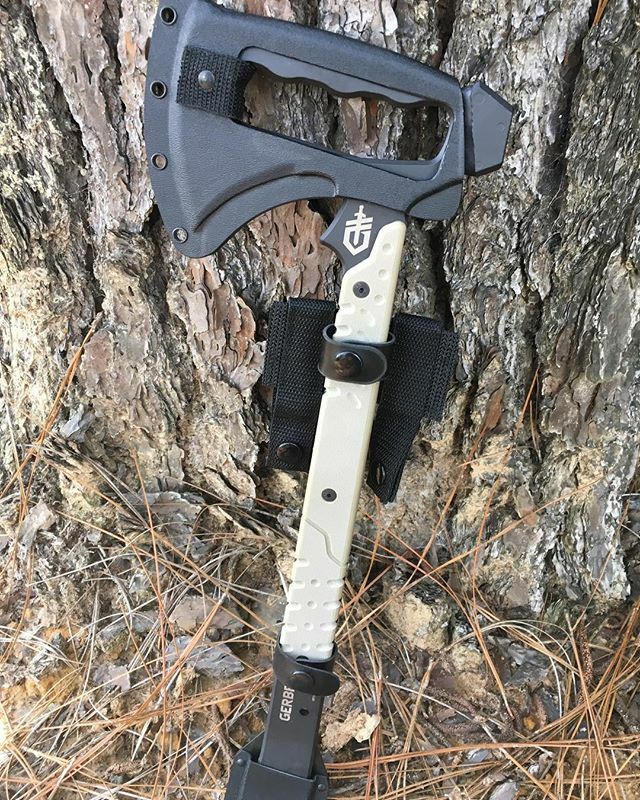 Its primary three features are for chopping, hammering, and prying. 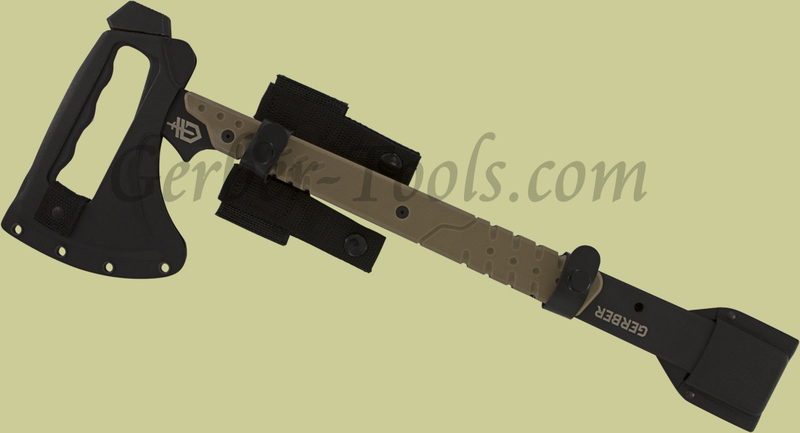 The handle is overlayed with two pieces of scaled G-10 to give you a nice grip in all conditions. 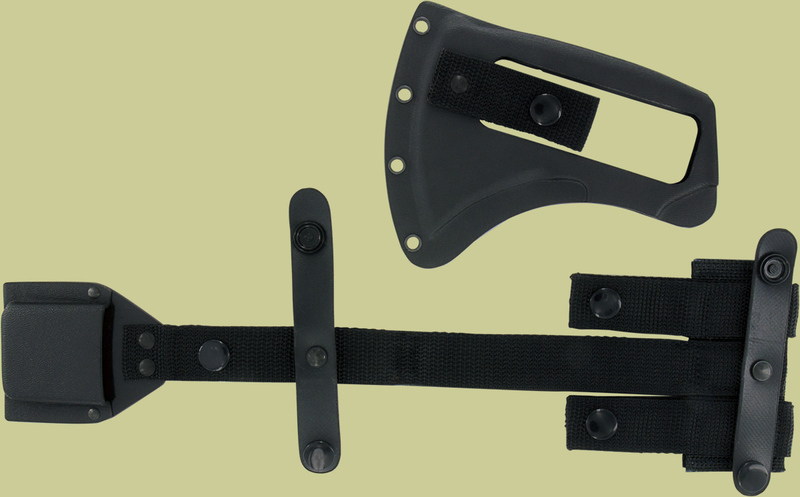 A flexible black coating on the metal has been added to give it a tactical look, and a highly funcational MOLLE compatible sheath is included for versatile carrying options.